Over the summer the students have been creating painted dots to enhance the green construction fence adjacent to the school in Eglinton Park. 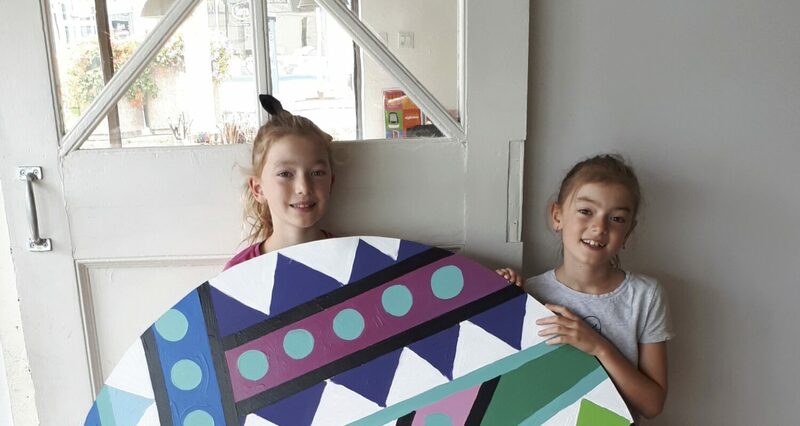 Recently these two sisters designed an amazing artwork and it was painted by the group. Please check out our outdoor gallery!